What a way to spend the evening of the summer solstice! 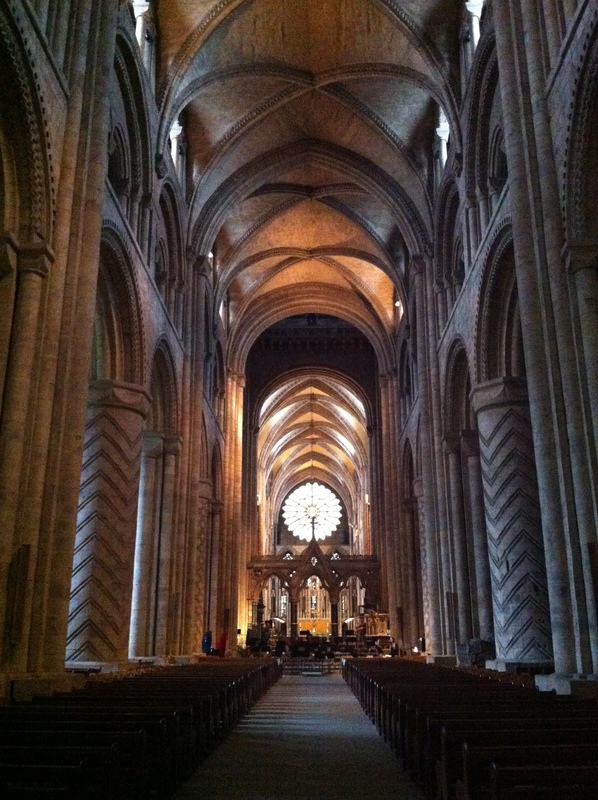 Tonight we heard the Durham University Symphony Orchestra performed the Planets by Gustav Holst in the Durham Cathedral. This was such a treat! The music was absolutely breathtaking. This was a first for Joshua and Meg as, regrettably, they have never attended a live orchestra performance before. They were both in awe and jabbering both at the same time as we left. Joshua was able to meet one of the double bass musicians. Believe it or not on this summer solstice night the air was quite cool as we headed home. Meg wore her Daddy’s suit coat to keep warm. Celebrating creation tonight on this longest day of year with the music of the planets. What a memory! PS If you are a student moving to Durham University take advantage of these amazing opportunities. Student tickets are just £5 and kids are free.